When a crime happens, the police would always come to the scene. Their job is to respond and control the situation or at best secure the crime scene when everything is too late. In these situations, police officers on the scene or the first respondents, have to take out their notes and ask around. Police officers have important paperwork to deal with. However, there is one police document that will be of utmost importance to us civilians. That is the police report. 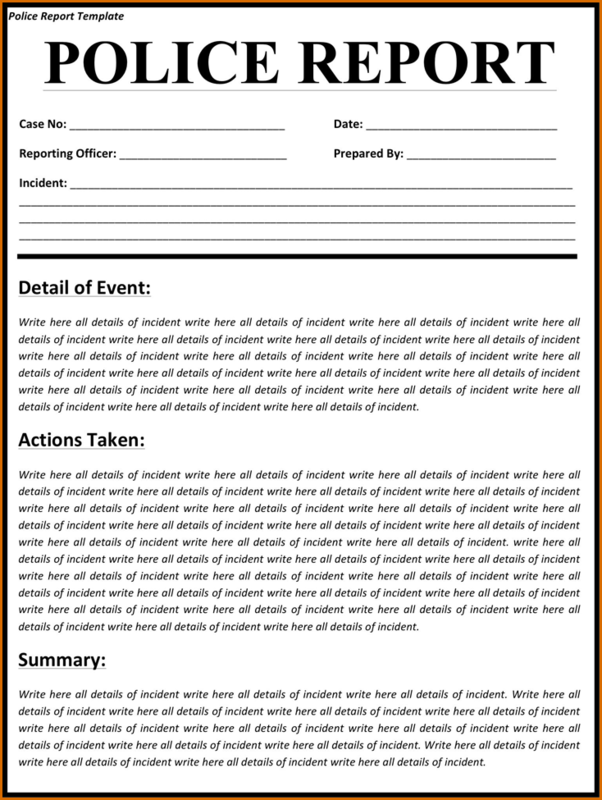 A police report is a report from the first responder to the scene of the crime. This helps other officers or detectives to fully assess the situation and use it as a reference for future prosecution. 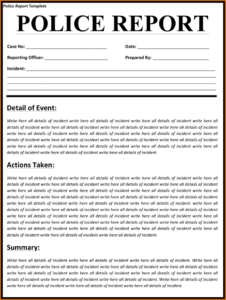 In some cases, a victim or the relative of a victim can use these police reports for insurance purposes. Are you looking for a police report translation services provider in Sydney? You’re in the right place! Get a free quote today by simply completing the free quote form. We will send you the exact quote in as fast as 15 minutes! The difference between Australia and other countries when it comes to translations is the authority. Here in Australia, we have NAATI, an authority that governs and sets the standards for translators and interpreters alike. When you start a legitimate translating business, it is imperative that you pass these first. Most Australian authorities will only accept a NAATI certified police report translation. When you are looking for interpreters or when you want your foreign or even native languages translated in Australia, look for companies that have the NAATI certificate. Sydney Translations is one of the best companies that you will ever come across. If you are looking for a reliable police report translation service, Sydney Translations is your go to partner. Sydney Translations is home to NAATI certified translators who have worked years to perfect their trade. As such, we have become one of the leading translation providers in Sydney. Our police report translation services come at very reasonable prices. Sydney Translations is one of the most affordable NAATI certified translation company in Australia. We also have customer support teams that are more than willing to help you if you have further questions after. When you want to work with Sydney Translations, the quote for your project is absolutely free! How great is that? You only need to fill in the translation form on this page and receive a firm estimate in just 15 minutes for free! Sydney Translations is a company who believes in the importance of time. Translation projects will depend on the language and length of the document. However, on average, we can finish a translation in 2 to 3 working days. If you are in a rush, we offer an express service for your police report translation. We will make the necessary arrangements and expedite your translation project. In 24 hours, your document will be complete. If you need a hard copy for your translation, do let us know and we’ll send you a certified hard copy via Australian post. Yes. We at Sydney Translations believes that your time is more valuable than most. As such, you don’t have to come to the office for a translation. Order your translation project online. Say goodbye to heavy traffic and spend your time more on what really matters. Yes, they are! Each and every one of our humble translators have worked hard and put passion into their works. We have handpicked the best NAATI certified translators in Sydney. Rest assured that your translations are NAATI certified. Need a police report translation in your preferred language? Here is our list of languages that we translate from. If you can’t find the language that you are looking for, you can contact us via the Live Chat and we’ll provide you with a translator. For translation of police reports into English, the majority of 1 page police reports are deemed as ‘standard documents’ and are priced at a flat rate per document of $69.00 per page. Are you interested in our translation services? Here’s a step by step guide on how to order. Request for a translation quote alongside other services that we offer. You will get that quote in under 15 minutes. Process your payments via Bank Transfer, Credit, Money Order, Cash, Cheque or EFT. Once your payment is verified, our team will start working on your documents, ensuring that you get the bang for your buck. When your translation is complete, we will get in contact with you and give you a draft of the translation project. If you are okay with the draft, we will be sending you the final soft copy through email. There you have it. Easy to follow steps for quality work.